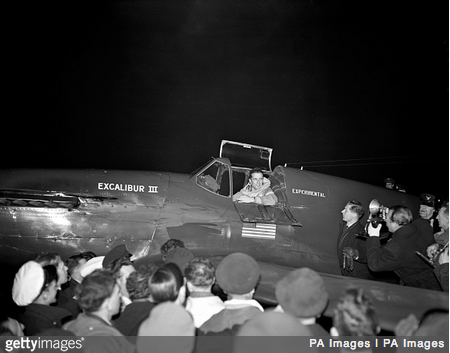 31 January 1951: Pan American World Airways Captain Charles F. Blair, Jr., flew a modified North American Aviation P-51C-10-NT Mustang, NX1202, named Excalibur III, from New York International Airport to London Airport in 7 hours, 48 minutes, with an average speed of 446 miles per hour (718 kilometers per hour). Captain Blair took advantage of the jet stream, flying as high as 37,000 feet (11,278 meters). This was Blair’s 401st Atlantic crossing. Blair’s flight did not set an official record. No arrangements had been made to have officials of the Fédération Aéronautique Internationale (FAI) available to observe the flight. Interestingly, Excalibur III was impounded by HM Customs at the London Airport. Blair had not paid the £800 customs duty which would have allowed the Mustang to stay for six months. He would have had to fly the airplane back to the United States to avoid the aircraft being impounded. LONDON, Jan. 31 (AP)— Air Line Capt. 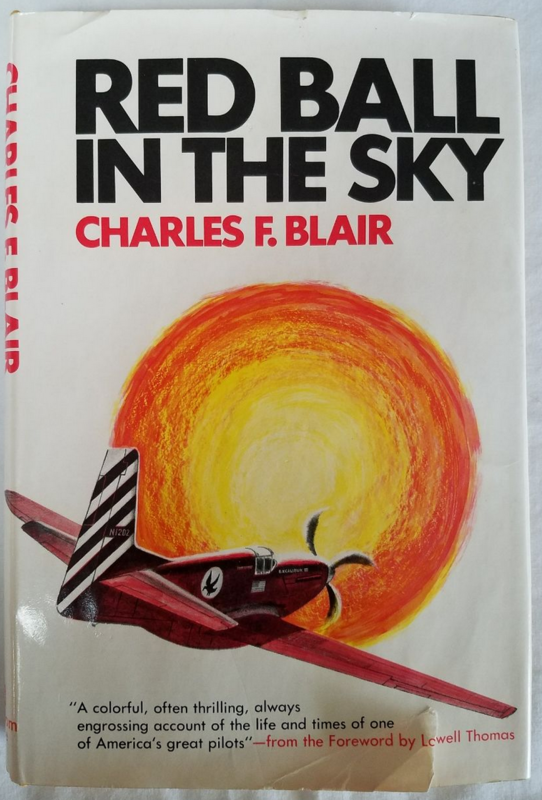 Charles Blair landed his scarlet Mustang fighter plane in a blaze of red flares tonight, chalking up a New York to London speed record of 7 hours 48 minutes. He clipped an hour and seven minutes off the old record. Blair said his only troubles during the flight were some icing in the early stages and a painfully tight pair of boots. A Pan American Airways pilot, Blair took the time record from a Pan American Stratocruiser which made the eastward Nov. 22, 1949, with 24 passengers, in 8 hours and 55 minutes. Strong tail winds helped in both cases. Blair, tall, dark, married, and 41, brought no luggage, but had a shaving kit and a tooth brush in a small leather bag. 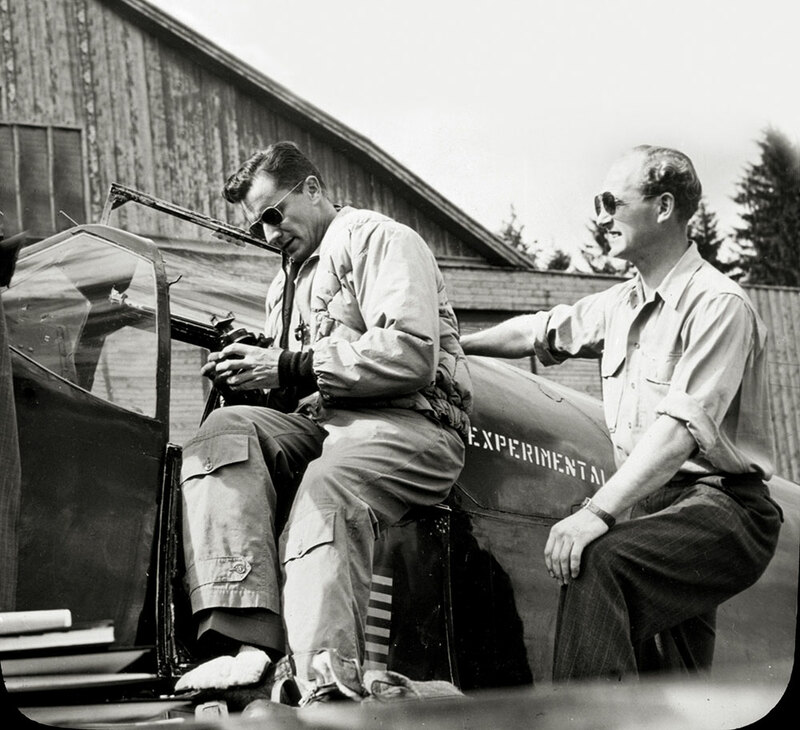 His plane is powered by a Packard built Rolls-Royce Merlin engine and was modified to hold 863 gallons of gasoline inside wings and fuselage without external tanks. He said the plane cost $25,000 to buy and revamp. Averages 450 M. P. H.
Blair’s average speed was about 450 miles an hour and he made much of the jaunt at 37,000 feet. He said the trip had a dual purpose, to break the record and to study the effect of high velocity winds on airliners in the lower stratosphere. Blair will fly back to New York as a passenger in a Stratocruiser. He has to return by Saturday. On that day he will fly a planeload of passengers from New York to London. —Chicago Daily Tribune, Volume CX—No. 28, Thursday, February 1, 1951, Part 1, at Page 6, Columns 4 and 5. 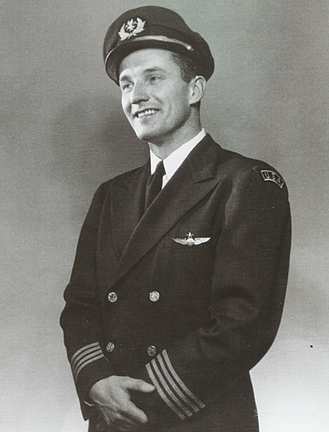 Captain Charles F. Blair, Jr., American Overseas Airlines. 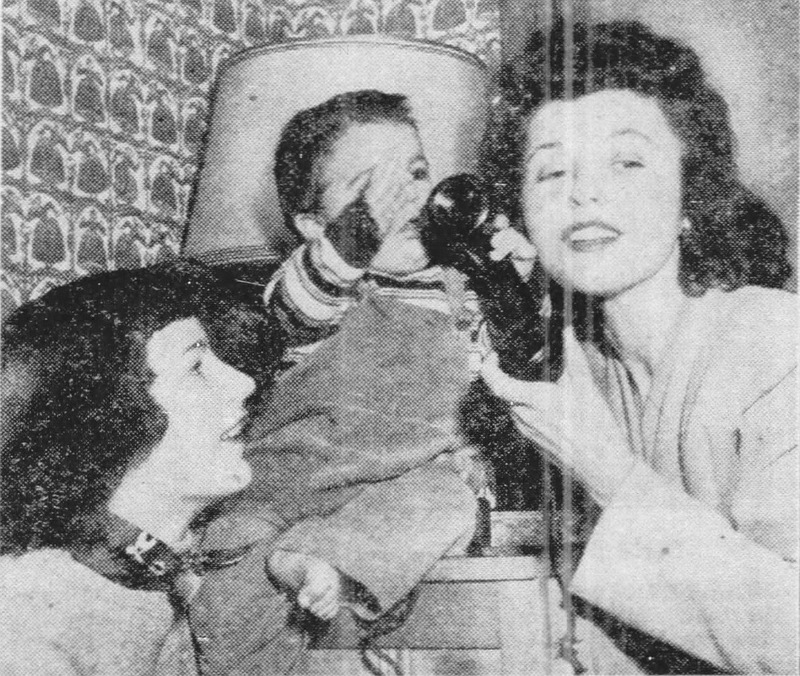 Charles Francis Blair, Jr., was born 19 July 1909 at Buffalo, New York, the second child of Charles F. Blair, an attorney, and Grace Ethelyn McGonegal Blair. He entered the University of Vermont, where is father was a member of the Board of Trustees, as a freshman in 1927. He was a member of the Phi Delta Theta (ΦΔΘ) fraternity. Blair was commissioned as an ensign in the United States Naval Reserve, 16 August 1932. On 6 September 1932, Ensign Blair married Miss Janice Evelyn Davis at Wallingford, Vermont. They would have two children, Suzanne, born in 1934, and Christopher Noel, born in 1950. The Blairs would later divorce. He was promoted to lieutenant, junior grade, 16 August 1937. During World War II, he served as a transport pilot in the U.S. Navy. 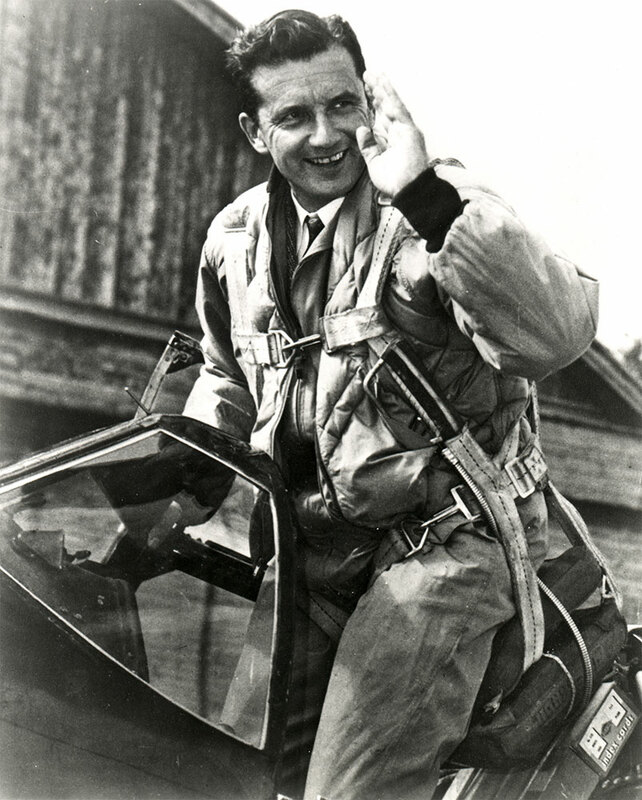 On 18 November 1952, Blair was one of three aviators to be awarded the Harmon Trophy. The presentation was made by President Harry Truman in a ceremony in The White House Rose Garden. Blair resigned from the Naval Reserve in 1952 and the following year he accepted a commission in the U.S. Air Force Reserve with the rank of colonel. In 1959, Blair was promoted to brigadier general. While serving as a reserve officer, Charlie Blair continued his civilian career as an airline pilot for United Airlines, American Overseas Airlines, and then with Pan American. On 12 March 1968, Captain Blair married to actress Maureen O’Hara, whom he had met during one of his 1,575 transatlantic crossings. It was the fourth marriage for both. Captain Blair made his final flight with Pan American in July 1969. He had flown more than 45,000 hours and traveled more than 10,000,000 miles. Blair was the author of Thunder Above (Henry Holt & Co., 1956), a novel co-written with A.J. Wallis and filmed as “Beyond the Curtain,” starring Richard Green and Eva Bartok, in 1960. He also wrote Red Ball in the Sky (Random House, 1969), an account of his career in aviation. Brigadier General Charles Francis Blair, Jr., died 2 September 1978 in an airplane accident. His remains were interred at the Arlington National Cemetery. Excalibur III is a Dallas, Texas-built North American Aviation P-51C-10-NT Mustang, one of a group of 400 fighters which had been contracted on 5 March 1943. Its North American Aviation serial number is 111-29080, and the U.S. Army Air Force assigned it serial number 44-10947. Paul Mantz flew NX1202 to win the 1946 and 1947 Bendix Trophy Races. Flown by Linton Carney and renamed The Houstonian, NX1202 placed second in the 1948 Bendix race, and with “Fish” salmon in the cockpit, it took third place in 1949. Paul Mantz had set several speed records with the Mustang before selling it to Pan American World Airways, Inc., Blair’s employer. Blair named the Mustang Stormy Petrel, but later changed it to Excalibur III. To increase the Mustang’s range for these long-distance flights, Mantz had removed the standard 90-gallon pressure-molded Firestone self-sealing tanks from each wing and converted the entire wing to a fuel tank (what is known as a “wet wing”). The P-51B and P-51C Mustang are virtually Identical. The P-51Bs were built by North American Aviation, Inc, at Inglewood, California. P-51Cs were built at North American’s Dallas, Texas plant. They were 32 feet, 2.97 inches (9.829 meters) long, with a wingspan of 37 feet, 0.31-inch (11.282 meters) and overall height of 13 feet, 8 inches (4.167 meters) high. The fighter had an empty weight of 6,985 pounds (3,168 kilograms) and a maximum gross weight of 11,800 pounds (5,352 kilograms). 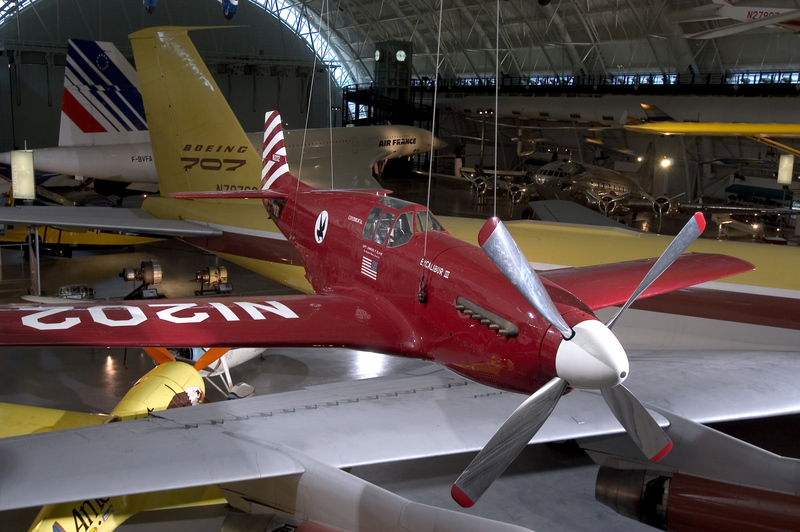 North American Aviation P-51C-10-NT 44-10947, “Excalibur III,” at the Steven F. Udvar-Hazy Center, National Air and Space Museum. The P-51B/C had a cruise speed of 362 miles per hour (583 kilometers per hour) and the maximum speed was 439 miles per hour (707 kilometers per hour) at 25,000 feet (7,620 meters), slightly faster than the more numerous P-51D Mustang. The service ceiling was 41,900 feet (12,771 meters). With internal fuel the combat range was 755 miles (1,215 kilometers). Though the P-51D with its bubble canopy was built in far greater numbers during World War II, the earlier P-51B and P-51C Mustangs were actually faster, so many surplus airplanes were used for racing and record attempts after the war. In 1952, Pan American World Airways donated Excalibur III to the Smithsonian Institution. The airplane’s registration was cancelled 4 June 1952. Today, completely restored, it is on display at the Steven F. Udvar-Hazy Center in Chantilly, Virginia. 29 May 1951: Pan American World Airways Captain Charles F. Blair, Jr., flew a modified North American Aviation P-51C-10-NT Mustang, NX12012, Excalibur III, from Bardufoss, Norway to Fairbanks, Alaska, via the North Pole. He flew the 3,260 miles (5,246.5 kilometers) non-stop in 10 hours, 27 minutes. After departing Bardufoss at 3:58 p.m., Captain Blair flew north along the E. 20° meridian until crossing the North Pole at an altitude of 22,000 feet (6,706 meters), then south along the W. 160° meridian until reaching N. 70° latitude, and then southeast to Fairbanks. 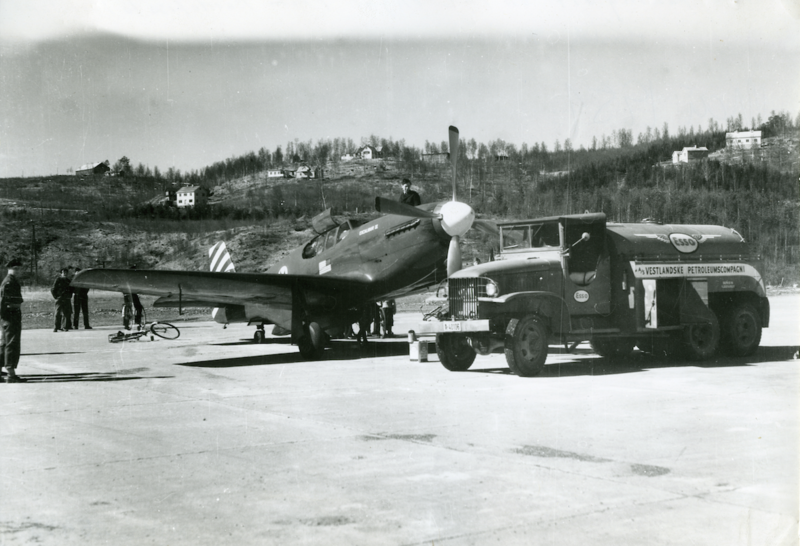 During the transpolar flight, the Mustang was subjected to air temperatures as low as -25 °F. (-31.6 °C.). Captain Blair navigated by using a system of pre-plotted sun lines calculated by Captain Phillip Van Horns Weems, U.S. Navy (Ret. ), as a magnetic compass was useless near the Pole and there were no radio navigation aids available. Charles Blair was commissioned in the United States Naval Reserve in 1931. He was promoted to lieutenant, junior grade, in 1937. During World War II, Blair served as a transport pilot in the U.S. Navy and rose to the rank of captain. Blair resigned from the Navy in 1952 and the following year accepted a commission in the U.S. Air Force Reserve with the rank of colonel. In 1959 he was promoted to brigadier general. Captain Blair was married to actress Maureen O’Hara, whom he had met during one of his 1,575 transatlantic crossings. After World War II, 44-10947 was purchased by Paul Mantz, and the Civil Aeronautics Administration registered it as NX1202. Mantz had it painted red and named it Blaze of Noon. Paul Mantz flew NX1202 to win the 1946 and 1947 Bendix Trophy Races. Flown by Linton Carney and renamed The Houstonian, NX1202 placed second in the 1948 Bendix race, and with “Fish” salmon in the cockpit, it took third place in 1949. 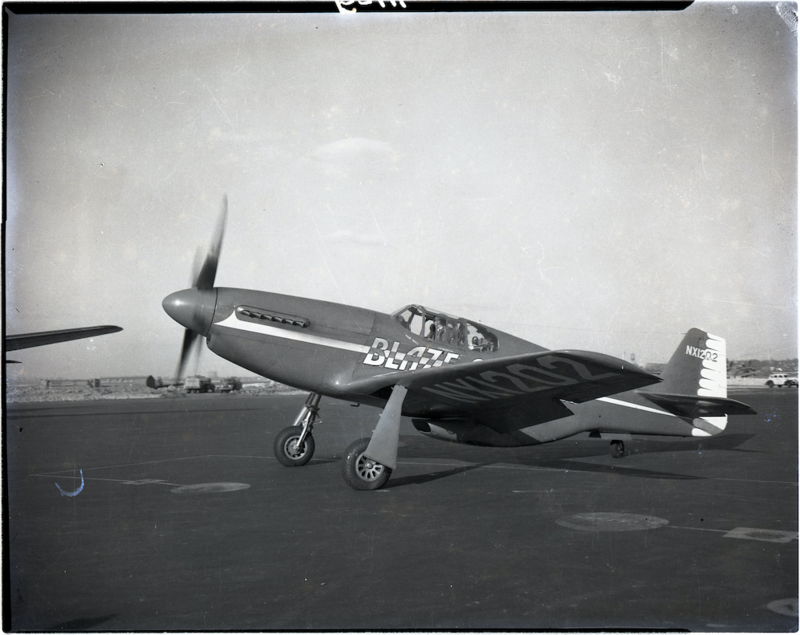 Paul Mantz had set several speed records with the Mustang before selling it to Pan American World Airways, Inc., Blair’s employer. 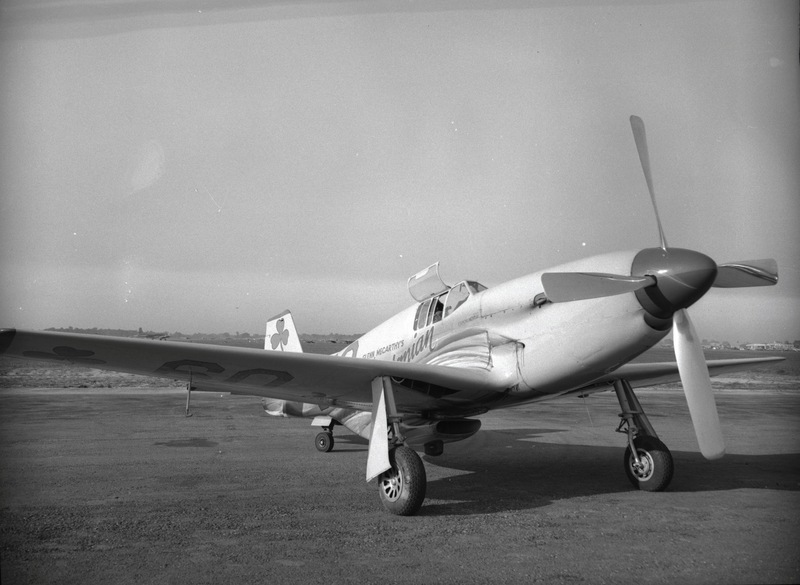 Blair named the Mustang Stormy Petrel, but later changed it to Excalibur III. 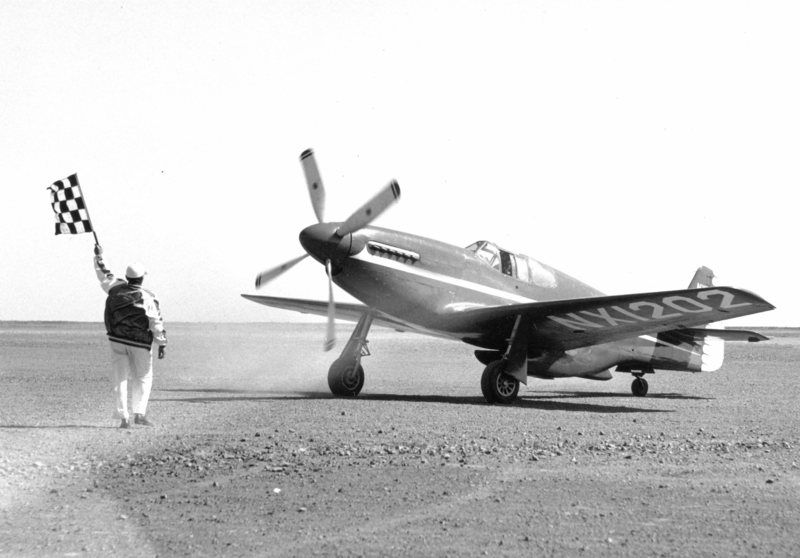 P-51Bs and Cs were powered by a right-hand tractor, 1,649-cubic-inch-displacement (27.04-liter) liquid-cooled, supercharged, Packard V-1650-3 or -7 Merlin single overhead cam (SOHC) 60° V-12 engine which produced 1,380 horsepower at Sea Level, at 3,000 r.p.m and 60 inches of manifold pressure (V-1650-3) or 1,490 horsepower at Sea Level, turning 3,000 r.p.m. with 61 inches of manifold pressure (V-1650-7). (Military Power rating, 15 minute limit.) These engines were license-built versions of the Rolls-Royce Merlin 63 and 66. The engine drove a four-bladed Hamilton Standard Hydromatic constant-speed propeller with a diameter of 11 feet, 2 inches (3.404 meters) through a 0.479:1 gear reduction. In 1952, Pan American World Airways donated Excalibur III to the Smithsonian Institution. Today, completely restored, it is on display at the Steven F. Udvar-Hazy Center in Chantilly, Virginia.